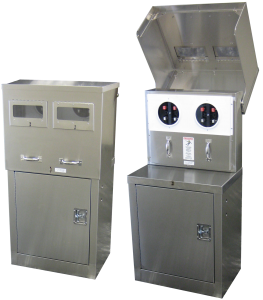 StrongBox manufactures meter pedestals in Stainless Steel with single or three phase up to 200 amp service. 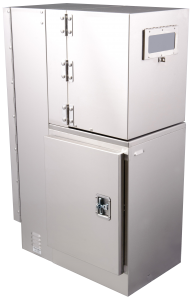 All pedestals are UL certified for 3R (rainproof) and 508a wiring safety. 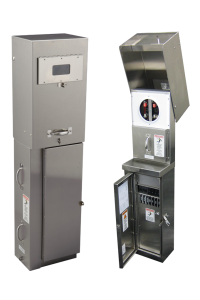 StrongBox partners with Underwriters Laboratories® to provide safe products to our customers through UL testing, certification and follow-up audits. 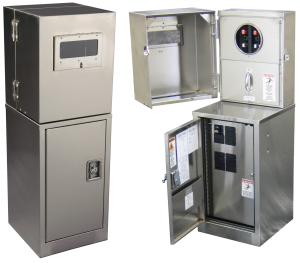 We are also a manufacturing partner with EUSERC (Electric Utility Service Entrance Requirements Committee) and have been approved for commercial applications in all EUSERC utility areas. 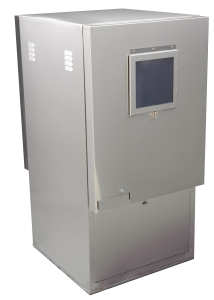 Our pedestals also follow Caltrans specifications. We offer fast delivery times in as little as a week to support your immediate needs. Contact us today for a quote on your current project.